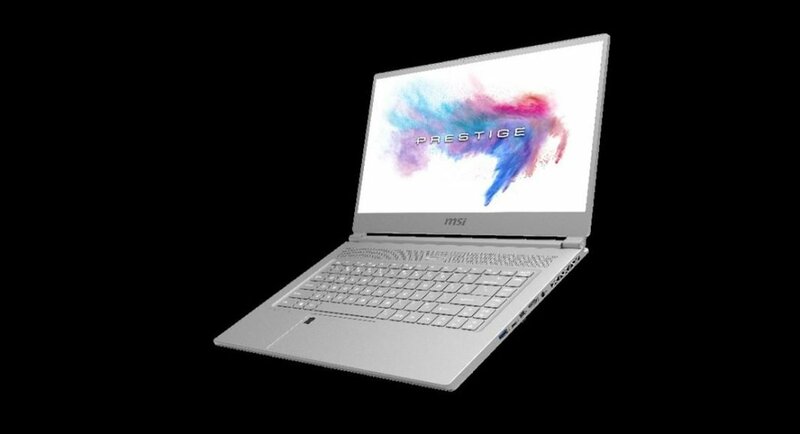 MSI has today launched its new range of gaming laptops with the latest Nvidia GeForce RTX GPU in India. The laptops were showcased earlier this month at the CES 2019 and they will be available starting January 29, 2019 at MSI’s exclusive stores in New Delhi, Bengaluru, Kolkata and Pune. The entire range of laptops will be available on Flipkart as well as on Amazon India’s website. While the price of MSI’s Gaming series starts at Rs 79,990 and goes up to Rs 3,99,990, the cost of the Prestige Series begins and Rs 77,990 and goes up to Rs 1,59,990. We should mention that Nvidia GeForce RTX GPU graphics comes with real-time ray tracing and AI-backed gaming experience. And MSI has touted to take full advantage of the new graphics in its new GT, GS, GE, GL Series. MSI‘s GT Titan is the company’s flagship gaming laptop and it comes with the latest RTX GPU and i9 CPU. The laptop’s Cooler Boost Titan ensures in reducing the operating temperature of the laptop so that it can handle extreme performance. The MSI GT Titan laptop comes with a 4K UHD display that ensures lifelike details on game screen. Coming to MSI’s GS series, according to the company it offers on-the-go gaming experience. The laptop features a 15.6-inch GS65 Stealth Thin display and weighs even lesser than 2Kg and is powered by the latest CPU and GPU. Speaking of MSI GE75 Raider laptop, it is powered by the Intel Core i7 processor, and sports a 17-inch screen. It is backed by an Nvidia GeForce RTX 2080 GPU and comes with reflective diamond-cut trims that form a design that the company calls ‘3D Dragon Spine’. The GE75 comes with an exclusive MSI Cooler Boost 5 technology, has two dedicated fans, seven copper heat pipes, an RGB gaming keyboard and 5X Giant Speakers. For gaming experience between mobile and PC, you can connect it to your smartphone via MSI’s App Player. Moving on, the GL Series by MSI comes with GeForce RTX graphics and the company has said that it is more powerful than ever. The device has Giant Speakers by Dynaudio and features a 17.3-inch screen. The company has also unveiled its P65 Creator, which is basically a new proprietary software ‘Creator Center’ that ensures that the system is optimized and works with a variety of creator software. Speaking of PS63, it is touted to take mobility to a new level altogether. The 15.6-inch IPS-level display has very thin bezels and weighs 1.65 kg. It is claimed to have a battery standby time of up to 16 hours and has support for Qualcomm’s Quick Charge 3.0. It is also certified by Quiet Mark and its compact design enhances its portability.